The ‘foreigner price’ is a hangover from the good old days of Intourist-organised Soviet travel. At some theatres and museums, foreigners are required to pay two to five times more than the Russian price. Ouch! These institutions insist that Russian tickets are subsidised with foreigners paying the ‘real price’. If you have a document (propusk), which says you work or study in Russia, you can usually get the local price. 02 or 112 - Emergency hotline. If you have problems and don’t speak Russian it may be better to call the English language tourist helpline +7 (8622) 91 31 82. Sochi has wireless internet access across the city, including in cafes and restaurants and 4G mobile internet providers are offering some of the world's best mobile internet services. To phone home from a Sochi landline, you need to dial 8 then wait a little (not necessary if you have a digital line) then dial 10, followed by the country code, city code and actual telephone number. The Sochi city code is 862. To dial numbers with a 862 code, if you are in the 862 code yourself, simply dial the number. Hey presto! Connection! If you're in the 862 area, but need to call to another code it is the same as calling within Russia, just see next section. For calling within Russia or even within Sochi where there are different codes, simply dial 8, then wait for a long tone (not necessary if you have a digitial line), then the code of the city, then the number. Nearly all the year is comfortable for visiting Sochi as it belongs to that tiny part of Russia, which is happily located in the subtropical climatic zone. 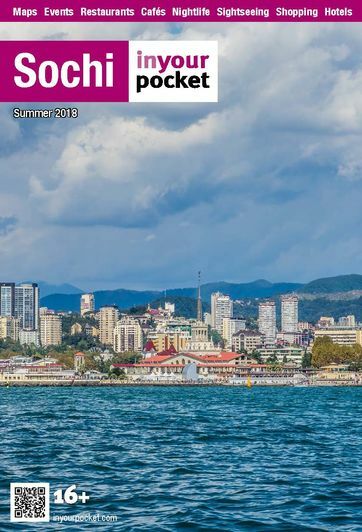 Sochi's summer usually lasts from the mid-end of May till the end of October. This is the true high season with its tourist peak in July-August, it also called 'swimming season'. The sea is warm and the air temperature is above 30°C (86°F). In September and October the Black Sea is still warm, air is not very hot, and the city attracts fewer visitors. This period is called smoothy season ('barkhatny sezon' in Russian). Early spring and autumn are warm too, but with more cloudy days and rain. Daily average temperature even drops below 10°C (50°F) sometimes. These seasons can be really enjoyable for visiting Sochi. But if you plan a winter trip, know the climate of the mountainous part of Big Sochi called Krasnaya Polyana is significantly colder. It allows a full ski season in winter (from December to March, and February is the best month). So don’t forget your warm clothes!